The most exciting thing about the Visiting Scholars program is watching experienced Wikipedians, empowered by the resources of a university library, develop prominent subjects to higher levels of quality. Reaching the pinnacle of “Featured Article” demands more than writing and editing abilities. It calls for substantial experience with Wikipedia, and a commitment to a peer review and revision process that can take months. George Mason is a great example. Visiting Scholar Gary Greenbaum started work on the article in September. Since then, he’s made more than 200 edits, adding more than 80,000 bytes to its length. After a peer review in November, he started the “Featured Article Candidates” process. In December, after more peer review, it was promoted to a Featured article. George Mason is a Founding Father in the United States. He is especially important to the history of civil rights. He was a delegate to the 1787 Constitutional Convention. But he was one of three attendees who didn’t sign, arguing it did not do enough to protect individual rights. The Constitution didn’t have a bill of rights in its original form. When James Madison proposed the amendments that would become the United States Bill of Rights, he based it on a document Mason had written years before, the 1776 Virginia Declaration of Rights. The Virginia Declaration was also influential abroad. Thomas Jefferson used it when working with Lafayette on the French Declaration of the Rights of Man and of the Citizen. This is the kind of meaningful, well-cited information that Visiting Scholars can bring to Wikipedia. To sponsor or become a Visiting Scholar, see our Visiting Scholars page. 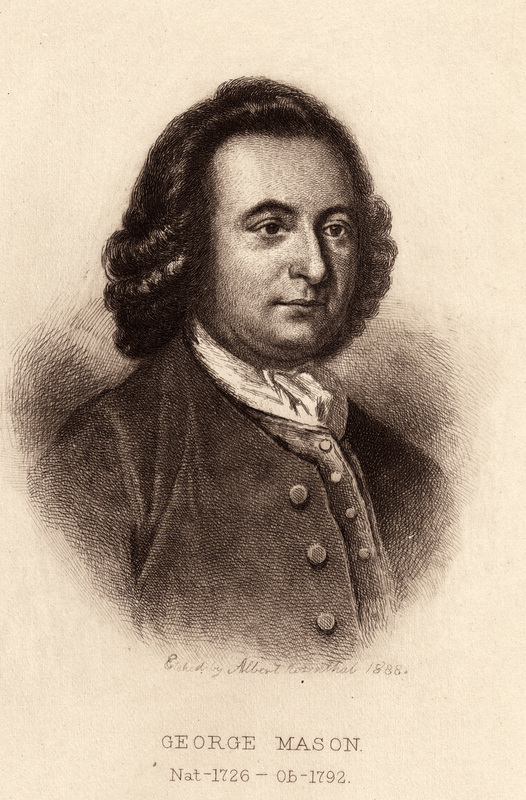 Image: “George Mason portrait” by Albert Rosenthal – http://memory.loc.gov/award/icufaw/apc0009v.jpg. Licensed under Public Domain via Commons. Can a paid Visiting Scholar avoid conflict of interest?